With everything you do to make your home luxurious and comfortable, the truest luxury is peace of mind. 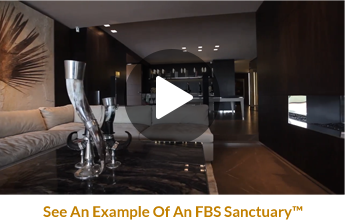 The FBS Sanctuary™, redefines panic rooms and offers the supreme comfort of security, in your most personal space, without compromising your home’s beauty and style. FBS’s state-of-the-art protection systems – invisible to the eye – seamlessly transform any room into a safe haven, with impenetrable doors and windows handcrafted exclusively in Italy to your specifications. No more unsightly, industrial-looking hardware or metal casings. With FBS’s astounding selection of materials, armored doors and windows are custom-made to complement any décor, while providing you and your loved ones an unsurpassed level of security. The old notion of rushing into a cramped, windowless “panic room” as a means of protection from intruders is impractical … and unrealistic. The expert engineers and artisans at FBS work with architects, designers, and builders to retrofit any existing room into a technologically secured Sanctuary™. The doors, windows, walls, floors, and ceilings of an FBS Sanctuary™ are built to withstand break-ins, firearms, and even hurricanes. Not only will it be the safest room in your home, it will be among the most comfortable. 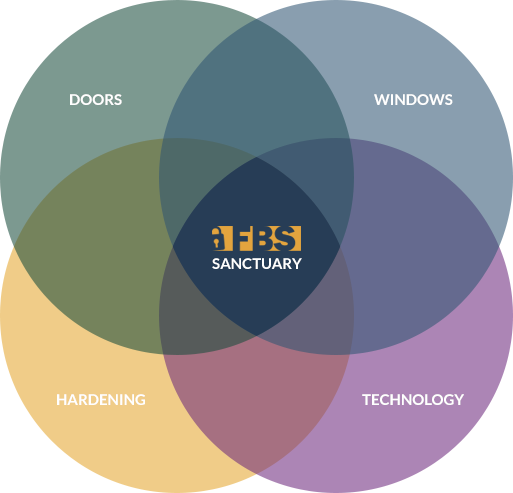 While there are many different hardening techniques available, FBS’ Sanctuary experts strategize structural modifications that will provide for an truly impenetrable environment, in any area of your home. From ballistic-proof walls to floors and ceilings capable of withstanding the destructive power of explosives, convert any room in your house into the most secure space possible.